Home Event Core Functional and Financials Training for Finance and Operations | Remote Online Be the first to comment. 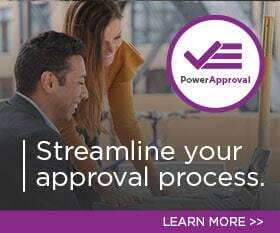 *See education.powerobjects.com for up-to-date pricing. Core User Boot Camp for Finance and Operations is an instructor-led course which provides a key step for Microsoft Dynamics 365 for Finance and Operations administrators and customizers who are beginning or advancing their knowledge of Finance and Operations. This course will focus on the core out-of-the-box capabilities while driving understanding surrounding the competencies needed for attendees to be impactful for their organization. This fast-paced course covers the latest and greatest in Microsoft new feature releases to ensure that attendees are empowered to leverage the full capabilities of their organization’s Dynamics 365 environment. This course is designed to support individuals who will be administering or configuring Microsoft Dynamics 365 for Finance and Operations. This course provides attendees who have limited or no exposure to Finance and Operations a breadth understanding of the solution. Those who are migrating from a previous version of Microsoft Dynamics AX, ERP, or database solution will find value in learning new features and functionality of the most recent release. This course is not recommended for end users. Read more about Course Completion Badges and Gold Badges. Harness the power of real-time data and reporting with easy to use business intelligence through Power BI. Learn to build up-to-date reports and advanced analytics in Dynamics 365 with this instructor-led user training.